On June 17th and 18th, historic steam locomotive no. 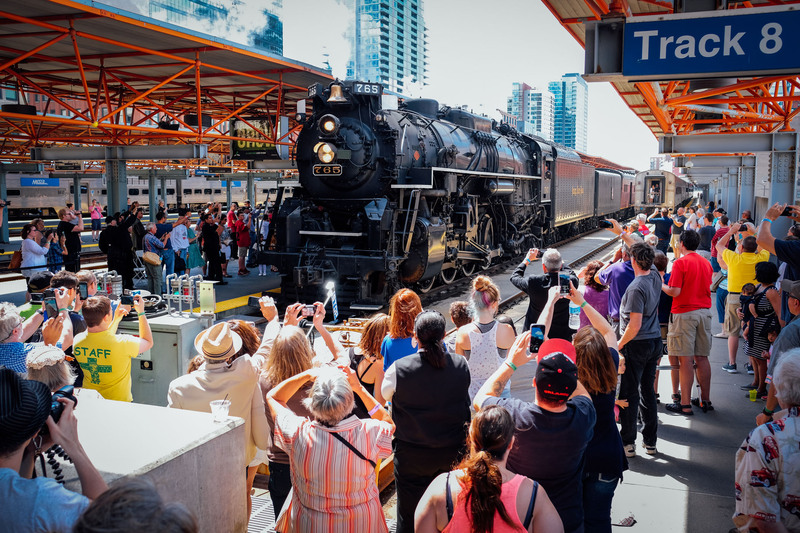 765 brought over 2,500 passengers into LaSalle Street Station aboard The Joliet Rocket. 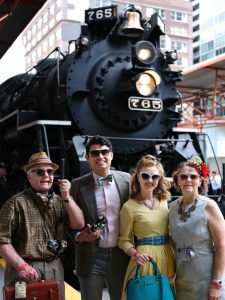 Operated in a partnership with Metra, the fourth busiest commuter railroad in the country, these trips were the first steam-powered excursion over the line since 1973. Passengers came from over 30 states including California, Connecticut, Florida, New Jersey, Washington and Texas. 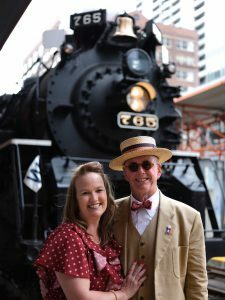 The Joliet Rocket was administered by over 100 of the Fort Wayne Railroad Historical Society’s (FWRHS) volunteers and dozens more attended the layover in Chicago by purchasing special passes for the event. 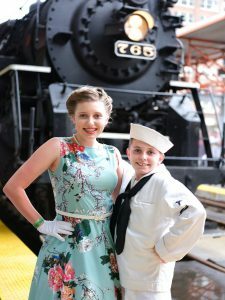 “For the second year in a row, the members of the Fort Wayne Railroad Historical Society performed with skill, professionalism and a solid commitment to safety. 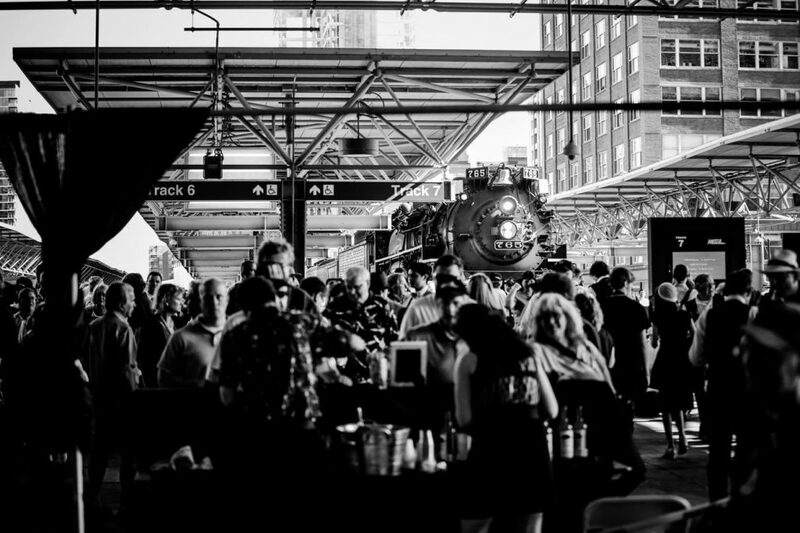 Metra is proud to have partnered with the Fort Wayne group to make the event the spectacular success it was. Thousands witnessed history in the making,” said Robert Conway, Metra Senior Trainmaster. “These trips were a successful outreach opportunity and fundraiser for our organization. Metra’s partnership and The Joliet Rocket allowed our organization to create a memorable experience above and beyond just a train ride,” said Kelly Lynch, Vice President of the Society. 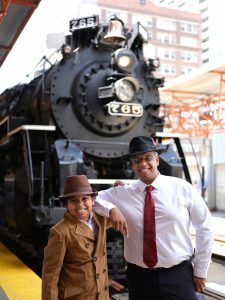 The unique operations deviated from traditional, all-day steam excursions and instead focused on creating memorable experiences for passengers within a four-hour time frame between Joliet and LaSalle Street Station. Trips included visiting WWII re-enactors, and historically inspired souvenir tickets, with a major focus on the layover featuring vintage cocktails, specially prepared appetizers, live entertainment from the Farm Land Jazz Band and a portrait photographer for passengers. The portraits were complimentary for first class passengers and available to others who dressed for the theme of the event or made a small donation. The portraits, taken by photographer Matthew Malkiewicz, are available for passengers to download by clicking here. In addition, the Society has chosen two winners for the Best Dressed Passenger Award and a number of honorable mentions. Click here to see the winners. “Feedback has been overwhelmingly positive with a few areas of improvement for future events. We look forward to revisiting our working relationship with Metra and its dedicated employees to bring the education and entertainment of the 765 to thousands more in the future, “ said Lynch. The FWRHS is preparing for the 765’s return to the Cuyahoga Valley Scenic Railroad in September and another mainline excursion in October with an announcement expected July 12th. Updated 7/12/2017: Additional announcements featuring the 765 in 2017 and 2018 are still pending. Click here to be notified. The Society will also host its Annual Open House on August 18th-20th, and members-only tours of the Age of Steam Roundhouse on September 16th and 23rd. Memberships to the Society can be purchased online and tickets for Members Day and the Age of Steam Roundhouse tour go on sale Tuesday, July 18th.